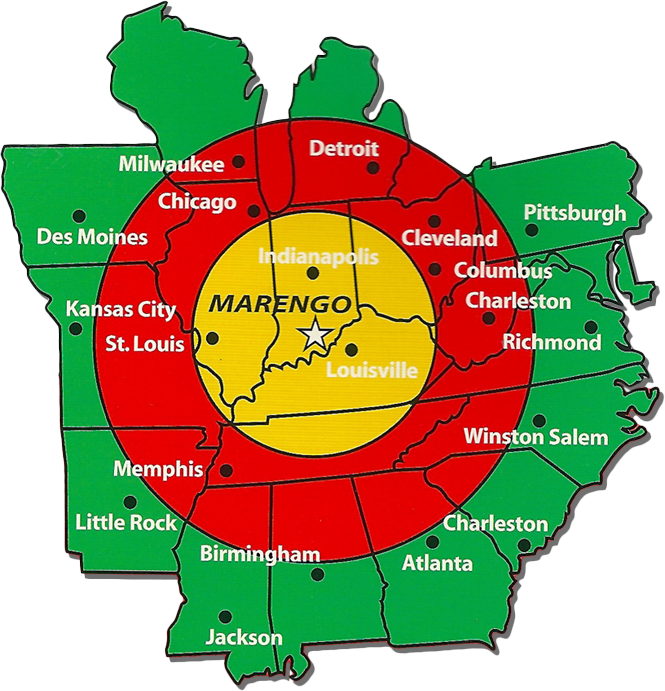 Nestled in the heart of Southern Indiana, Marengo Warehouse & Distribution Center offers easy access to nearby Interstate 64. A 55-car rail siding maintained and operated by Norfolk Southern is located at our front door and shipment by barge is available on the Ohio River, just 35 miles away. We are located within overnight truck travel of 21 Metro Areas, and are 35 minutes from Louisville, Kentucky, which has been designated a 5-star logistics city by Expansion Management and Logistics Today magazines.